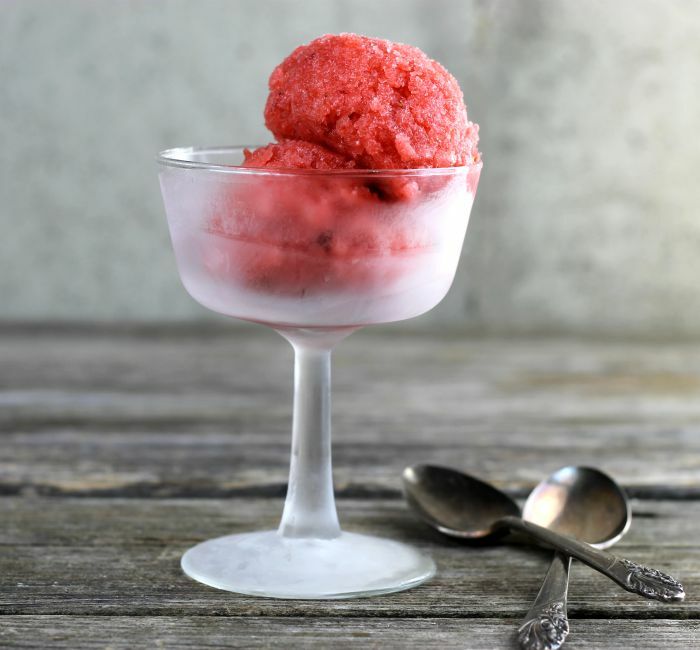 Strawberry Rhubarb Sorbet, this is an easy no-churn sorbet made with only a few ingredients like strawberries, rhubarb, lemon juice, sugar, and water. 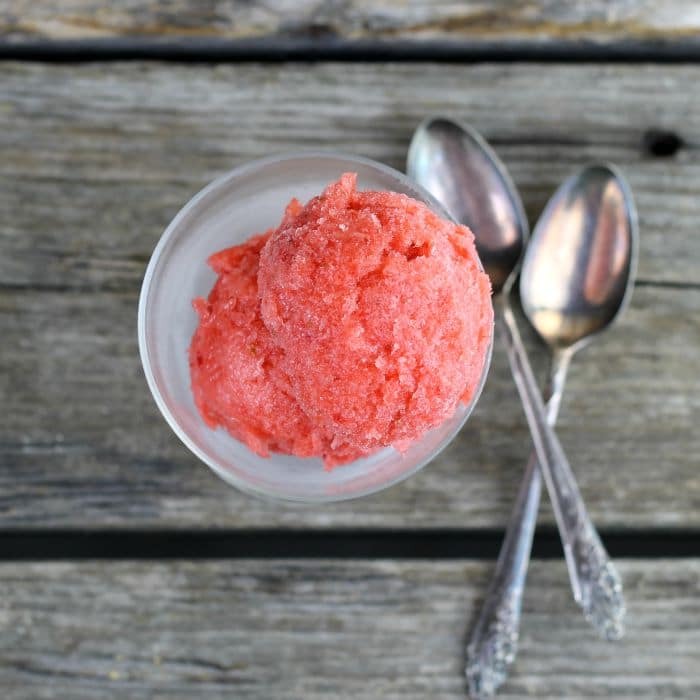 Strawberry rhubarb sorbet made with simple ingredients that turn into a delicious refreshing dessert. This is the perfect type of dessert if you are looking for a light dessert, perfect for the upcoming summer months or really any time of the year. We went from winter to summer in the last month. There was snow on the ground until late April and once we hit May the weather turned warm and then hot. We have a rhubarb plant that grew super fast this year and it is huge, so I am thinking of recipes that I can use at least some of it. 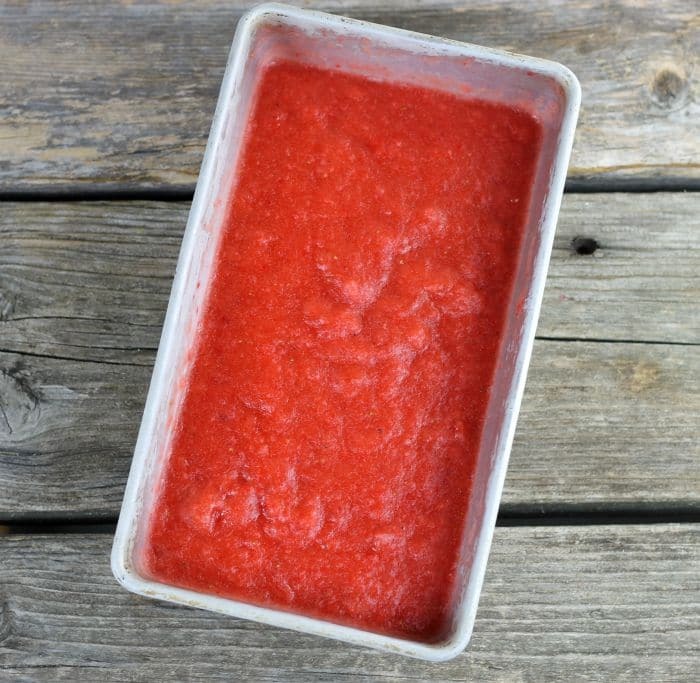 This strawberry rhubarb recipe is a great way to use it. 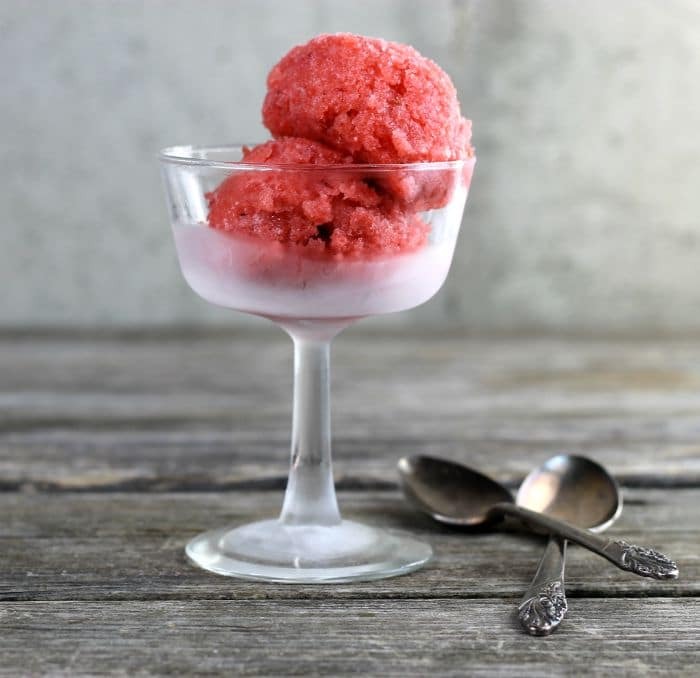 A sorbet is a dessert that is usually made with a sweetened water and usually a fruit puree. It also tends to be lower in fat than other desserts because it has no animal products in it to increase the fat content. Any type or combination of fruit can be turned into sorbet. Usually, it is made using an ice cream maker, but the no-churn variety turns out creamy and delightful also. Keep in touch with me on Facebook, Twitter, Instagram, and Pinterest. In a medium saucepan combine the chopped rhubarb, sugar, water, and lemon juice and heat over medium heat. Cook until the rhubarb is soft, about 10 to 12 minutes. Cool completely. This step can be completed the day before. Slice the strawberries and combine with the cooled rhubarb. Using an immersible blender or a blender to process the ingredients until they are pureed. Absolutely refreshing! A perfect summer cooler, Dawn. It’s really HOT here, so this looks wonderfully refreshing. Great choice of flavors — strawberry and rhubarb play so well together. Thanks! This looks great. Whenever I think of strawberry and rhubarb I think of pie or tarts. I’ll have to give this recipe a try. I really love sorbet, almost more than ice cream! You know what’s funny? I was just chatting with my Mom, and we were talking about planting rhubarb in the garden. Now I definitely need to plant some (maybe next year at this point…) as I love a good sorbet! So beautiful and refreshing! Perfect for this heat wave! !